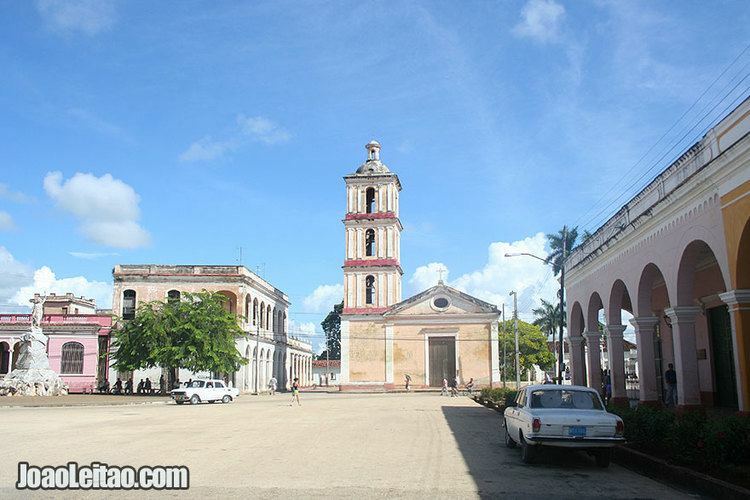 Caibarién is a municipality city in the Villa Clara province of Cuba. Caibarien is known as "La Villa Blanca" (The White Town) for its sands and beaches. They are famous for their "Parrandas" (Carnivals) along with Remedios (the neighboring town located 7 kilometres (4.3 mi) west) and Camajuani. The town was founded on October 26, 1832 from a map designed by Estratón Bauza. For his constant concern and tenacity in their efforts, and because he offered some of his lands and also economic concessions to the founding of the town Don Narciso de Justa is considered the founder of Caibarién. On 1834 it was named Colonia de Vives, but on 1837 the original name (Caibarién) was restored. On September 19, 1873 was awarded the village title. In 1878 the town already had stores, churches, schools and newspapers. On October 25 was founded the committee of the Cuban Liberal Party in Caibarién, and elections were prepared between the Liberal Party and the Constitutional Union. 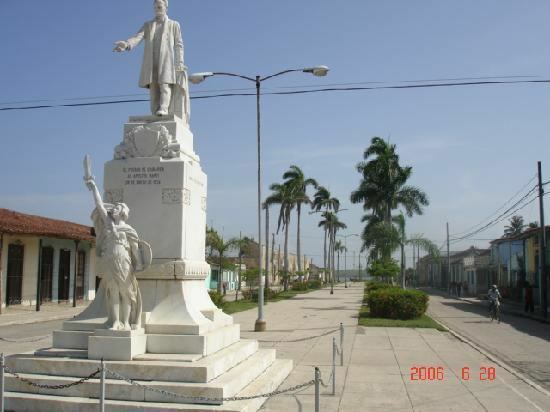 On January 1, 1879 Caibarién emerged as an independent municipality of Remedios and the first city council was established being it first Mayor Don Hipólito Escobar Martelo from the Liberal Party. On 1891, Laureano López Cosío was chosen as Mayor. On the second half of 1893 the political turmoil began to increase, shedding elements from the Conservative Union to form a third political party called Reform. This year the mayor Cosío died and Damián Judez Celaya was elected. On January 18, 1895 Judez died and was succeeded by the Spanish merchant Antonio Imaz Llaguno. Before the independency war of 1895 the village has achieved steady progress, showing an economic power that was a real surprise at the time. The area was scene of actions during the independence wars of the nineteenth century like the uprising of Carlos Roloff. The city is situated on the north coast of Cuba, bordering the Bay of Buena Vista (Bahia de Buena Vista) of the Atlantic Ocean. It lies at the eastern extremity of the Villa Clara Province, close to the border with Sancti Spíritus Province. The town is served by the Caibarien Airport (IATA: -, ICAO: MUCB). The municipality is divided into the barrios of Primero, Segundo, Tercero, Cuarto and Quinto. It served as a shipping point for agricultural commodities, such as sugarcane, tobacco, and fruit. It also served as a sponge-fishing center. Its hotels are now destroyed by lack of care, and most concrete houses are crumbling on to its streets. The piers that once served as shipping points for agricultural commodities have fallen into the bay. The two sugar mills that used to send their sugar exports through the harbor are now closed and crumbling. The major sugar mill (Reforma) it is now a museum for tourists. The Parrandas carnivals take place twice a year on August–September and by the mid of December. They last usually for about two weeks at a time. The main center for tourists in Caibarien is "Los Cayos" (The keys) with such cays as Cayo Santa Maria, Cayo Fragoso, Cayo las Brujas, etc. 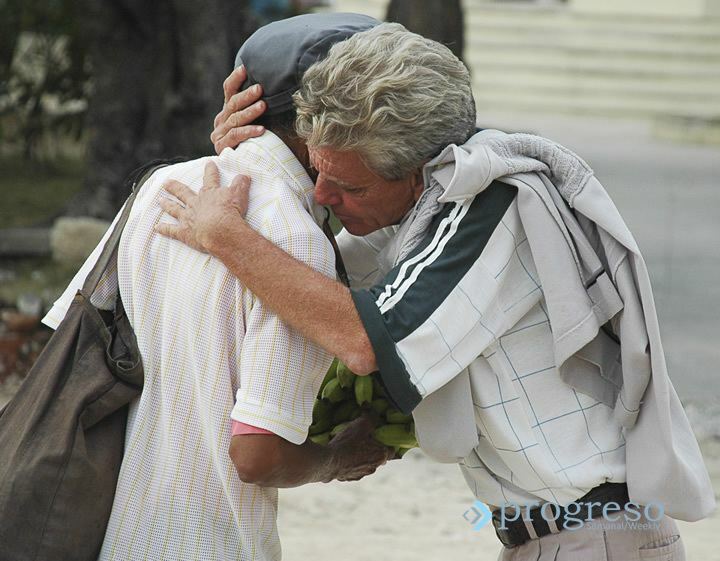 New Cuban reforms now allow Cuban citizens to enter the resorts and beaches that were once exclusive to tourists. In 2004, the municipality of Caibarién had a population of 38,064. With a total area of 212 km2 (82 sq mi), it has a population density of 179.5/km2 (465/sq mi). Cayo Conuco is a tiny island located 7 kilometres (4 miles) from Caibarién, which is joined to the mainland by a stone causeway. It was recently covered only by thin, dry pasture, however native plant species have resumed their original place. In 1948, the Asociación de Scouts de Cuba held its second national Jamboree in Cayo Conuco, Caibarién.